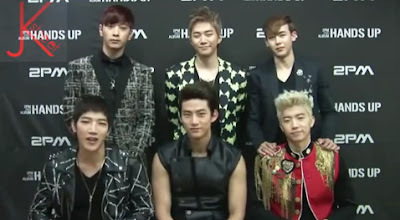 Heres a special english sub video released by 2PM in cyworld. They're mention some detailed information about their comeback, Hands Up. Even Junsu and Junho sing a small teaser for their self composed songs here. Junsu singin 'Hot' and Junho singing 'Give It To Me'. Check this out!